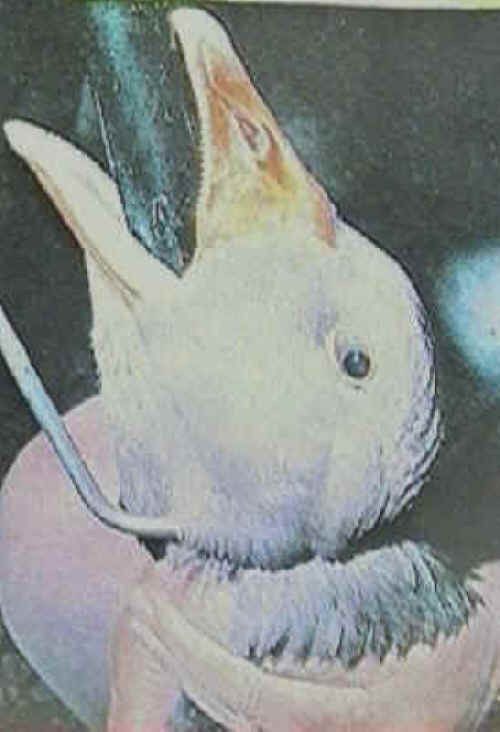 (Ducks and Geese Exploitation - Foie Gras - 06) In this photo we can see how immense the feeding tube is compared to the the size of the bird's mouth and throat. Think of how this force-feeding would feel to us. Think of how uncomfortable it feels when we overeat. Then imagine how it would feel to have even more food forced down our throats. If we can imagine this, then we will begin to understand the pain and suffering that is inflicted upon ducks and geese.